Death Cab for Cutie in Montreal or Quebec City? Inform me about the next events for Death Cab for Cutie. Enroll yourself to our priority waiting list for Death Cab for Cutie to be alerted when new tickets are available. Filling this form doesn't engage you to any purchase. American band Death Cab for Cutie will play Montreal's Bell Centre on March 19th, 2016, alongside Canadian alternative rock veterans Metric. 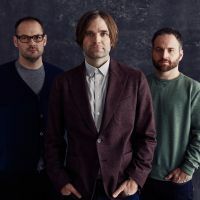 Don't miss Death Cab For Cutie's return to Montreal with their latest album Kintsuni in tow. Be there to experience the exciting live concert from Death Cab For Cutie, one of the most respected indie rock bands of the 2000's.